It's no secret that I don't get enough sleep. I've never, ever been a good sleeper, I don't think I know what a good night sleep is. BUT, I don't think I help myself, in fact I know I don't. Mr C and I don't go to sleep early. EVER. We're both of the opinion that life's too short to go to bed early every night, and you'll get plenty of sleep when you're dead right?! Just lately though we've been going up to bed early-ish (9.30-10pm) but still not going to sleep until gone midnight! No, get your minds out the gutter you filthy lot, there's none of that going on, we end up frazzling our brains even more by picking up the iPads and phones as we get into bed! Nice and restful hey?! It's mad. If Mr C goes up first, say 10-15 minutes before me, I'll often find him already in bed, iPad in hand and the TV on too!!!! I'll get ready for bed, which takes forever incidentally, and then join him, picking up my ipad as I jump in, oh and also my phone to keep checking tweets, insta and now bloody snapchat that I seem to have become addicted to too! I know why. Blogging and social media have really taken over my life. Seriously. In a good way though. I love it and am always on my phone and social media, more than my kids I'd say, and actually that's something I thought I'd never hear myself say :) We'll often sit/lay surfing the net, glancing up at the TV occasionally, Mr C will pop down and get us a hot drink, and before we know it, one of us chirps up "Oh my God, it's 12.30, do you think we should get some sleep?" And I wonder why I'm so goddamn tired and constantly feel like a zombie with bags down to my knees. So, we've decided to run a little trial. A digital detox if you will. 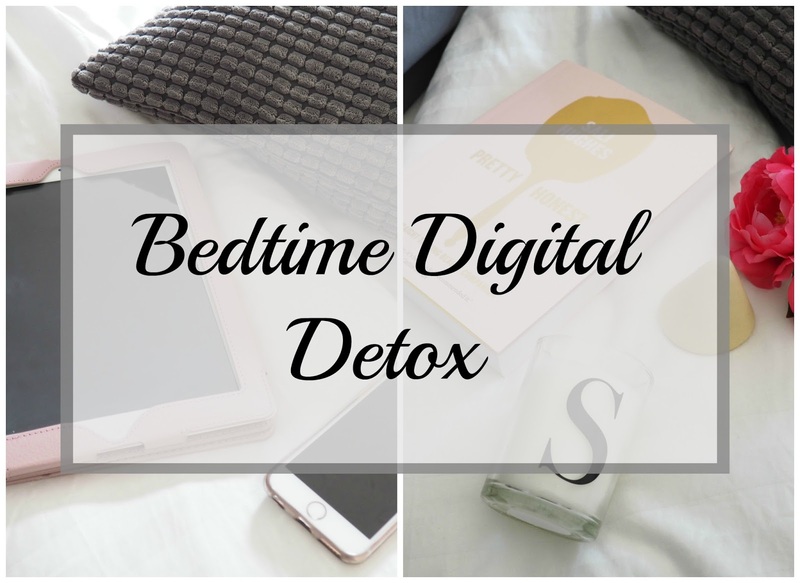 I've seen a few bloggers just recently say they a taking a digital detox for a few days with no tech at all, before they implode, I, however, can't go that far just yet, I'd feel like I've lost a limb if I can't check Instagram or Twitter every few seconds! No more technology in bed! We've decided that instead of the technology we need to find another bedtime activity, I know where your minds going again, but more like reading, or a bit of TV. Perhaps with some oils to help me relax and a nice candle or two. I guess it's more me that needs to drop the tech as Mr C can sleep with a frazzled brain and square eyes from the TV without any problems at all. I know I need to start winding down rather than winding up, my mind is well overactive as it is and that's one of the reasons I don't sleep well, I'm such a worrier and over thinker! We're going to try and get to sleep before the clock strikes 12 (during the week only mind) and I'm hoping it will help promote a good and restful nights sleep for me. 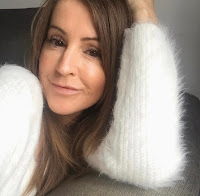 I don't have high hopes because I'm not dreaming about blogs, websites and SEO every night, I have other life stuff whizzing around my grey matter too! Are you actually able to switch off your brain? I can't find my switch. Mr C knows exactly where his is, within 5 seconds he's off to the land of nod, it's really that quick, catching flies and twitching like a looney. He's lucky, he has good quality sleep most nights (I'm sure he could sleep standing up, on one leg), just not enough of it. Anyway, I have to try it and we've both made a pact and shook on it. No more iPads, or phones in bed for a week, (eeeek....having cold sweats just thinking about it) but have no fear my phone will still be the first thing I reach for when I wake. The life of a blogger hey! Are you guilty of this too? What do you do to switch off? Please tell. We are exactly the same. TV on, then both on our phones - so romantic haha! Marks usually sending work emails and I'm like you on social media! It is hard to switch off - good luck lovely please let us know how you get on!! What did we do before all this technology hey!?! I am really good. I go up to bed at 9 or 10pm and rarely touch my iPad or phone until the next day. However I do spend far to much time on Whats App and texts during the day and have been doing a detox about that - blog post coming soon. I'm sure a lot of people can relate to this! Definitely me. My partner and I spend our evenings either watching a film or Netflix together, or him on the ps4 and me on the laptop, to then go to bed and sit on our phones for an easy half an hour. I do wonder sometimes how I'm able to sleep, since my brain has been so active! But I do, but I completely agree with your trail and changes and may follow suit. I have a book at my bedside, plus plenty others that I have to read, but just never do.